Your career is exactly that: yours. You call the shots. We give you the opportunities you need: to do challenging work that truly makes a difference, to get the most out of yourself, to help boost confidence in society and to do your bit to resolve vital social issues. To enable this, we provide intensive training and take your ambitions and personal choices fully into account. We offer a highly varied range of duties for world-renowned clients. You will have access to a global network and share your knowledge, ideas and questions with leading professionals in your field of expertise and other disciplines. You will be valued for who you are and what you do. You will work in an inspiring, inclusive and respectful working environment with amicable and highly professional colleagues. And however long you stay with PwC, the skills and professional relationships you acquire here will play a decisive role in your future career. From MBA’s to MFA’s, from industry experts to experience designers and technologists, we work at the interaction of Business, Experience and Technology (BXT). Yes, PwC audits companies. Yes, PwC gives tax advice. 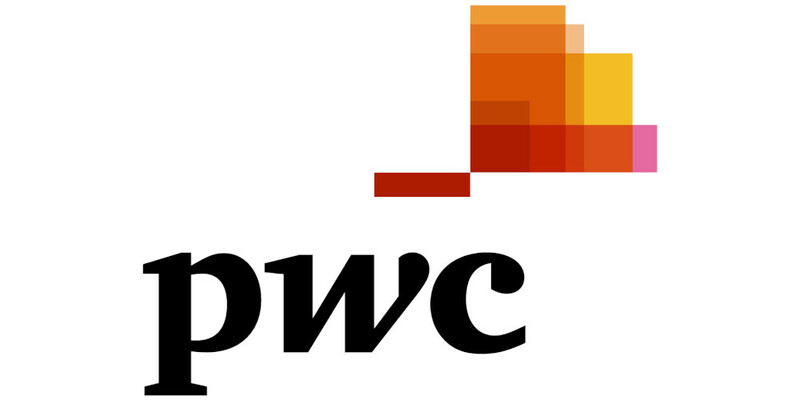 Yes, PwC offers consultancy services. All true, we’ve done so for decades. But did you know that PwC also tinkers with many emerging technologies and applies these with our clients in the real world? Curious about what it means to put your digital, technical and analytical skills to work at PwC? Our size means we have partnerships with Google for Work, Microsoft Dynamics, Salesforce, and other leading technologies. It also means our infrastructure is amazing, with few legacy systems to hold us back. People here get to work with the biggest names in any sector and the work itself can be front page news. We’re often the first to use new ideas or approaches – either our own, or something that’s been developed by a third party which they approach us to help deploy. In smaller tech companies you might hit a career ceiling. But not here. There’s always opportunity to rise in the fastest growing part of our business. From Artificial Intelligence to Augmented Reality, Blockchain to Drones, Robots to the Internet of Things, and 3D Printing to Virtual Reality, we’re on top of the megatrends. New technologies are emerging all the time, and we’re helping our clients to explore how they can harness and use them to their organisations’ advantage. That requires an entrepreneurial attitude, so we do things first and ask permission later. As artificial intelligence and the internet of things move from concept to reality, technology companies in every segment - semiconductors, software, hardware, internet services - face difficult challenges and exciting opportunities. Technology impacts every aspect of our lives. The way schools and universities educate, how we interact socially or store information to how we shop; it’s simply how the modern world nowadays operates. Businesses are pushed to innovate and develop faster, be more agile and creative than ever before. This gives us the opportunity to help our clients with how technology can give them a competitive advantage. It goes without saying that change requires trust and that’s not always easy to build when emerging technologies are involved. However once trust is there a digital transformation is much easier to achieve! Are you that new talent that we are looking for? We are creatives, design thinkers, business strategists, concept developers and tech lovers. Are you joining us in solving important problems and building trust in society? We look forward to generate new ideas, to connect you with other talents and experts, and identify market opportunities together. Our PwC experts will share insights about what they do, what impact we make on clients, and which profiles we are looking for in our tech community. PwC attracts top talent - including graduates and experienced professionals - from around the world. Our commitment to corporate responsibility, diversity, work life flexibility, career coaching, and training makes our firm one of the best places to work, learn and excel. 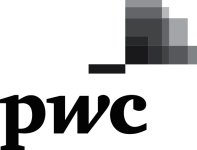 Here are some of the ways in which PwC has been awarded and recognized recently. Our PwC offices around the world run various events to attract top talented people into our business. They range from events for experience professionals through to events for students and interns. Particularly for students many of our offices offer personal branding, and employability skills sessions: practical ways you can present yourself in the best possible way, and tips on the transition from your studies to the workplace. Networking events and office open days: an opportunity to meet recruiters, graduate trainees and senior members of staff, who can give you their own personal experiences of working at PwC, which could help inform which area of our business you join. PwC, shape your personal value proposition within the digital world, with us and become our Next Digital Leader. Come and see our presentation! “Standing in line in brick-and-mortar branches, snail mail, paper statements, physical tokens ... really? Today we expect a bank to be available anytime, anywhere, right at the tips of our fingers. But how do you balance ease of use with security? After all we also expect our money not to be stolen and our information to remain private. Want to find out the role of digital identity and technology in making sure a bank meets these demands in a secure and privacy proof way? Join our session and find out how PwC helps banks in this balancing act. We are also interested in meeting you at our stand #22 if you want to know more about opportunities in Data Analytics, Technology consulting or Emerging technologies. Or sign up via the website for our Fast track in Cyber security and much more!